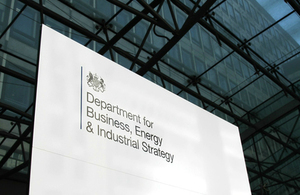 The office will be based in the Department for Business, Energy and Industrial Strategy (BEIS) and will start work immediately. It will work closely with the BEIS Chief Scientific Advisor, Professor John Loughhead, to ensure it has access to cutting-edge scientific and technical expertise. The Working Group on Product Recalls and Safety was set up by former Consumer Minister Margot James to provide recommendations to improve the recalls process and the safety of consumer products. The group published its report in July 2017. The Office for Product Safety and Standards will cover general (non-food) consumer product safety. It will not cover vehicles, medicines and medical devices, or workplace equipment, which are already covered by other agencies. This remit is in line with the current responsibilities of BEIS on product safety. The remit of the office does not cover construction products, which are currently subject to a separate review being led by Dame Judith Hackitt. The government will carefully consider the recommendations of that review when it concludes. The Office for Product Safety and Standards will have a budget of around £12 million per year when fully operational. There are no changes to the roles and responsibilities of local authorities or other market surveillance authorities. The office will provide a number of specialist services centrally to support consistent national enforcement, including aspects of product testing and technical expertise. Primary Authority enables businesses to form a legal partnership with one local authority, which then provides assured and tailored advice on complying with environmental health, trading standards or fire safety regulations that other local regulators must respect.